KYOCERA Document Solutions has partnered with market leader Fujitsu subsidiary PFU (EMEA) Limited to offer a comprehensive range of document scanners to complement our existing printer and multi-functional device range. We're giving all of you the chance to win two premium scanners to make it super-easy to convert paper documents into editable documents on your computer. The main prize is a Fujitsu ScanSnap iX500 worth a cool £330. 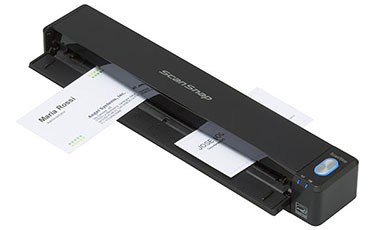 But that's not all, because a runner-up will receive the small, powerful Fujitsu ScanSnap iX100 scanner worth over £150. And if you're not lucky enough to win either, we have £150 of Amazon vouchers to give away as a third prize, too! The competition winner will be picked at random from all eligible entries that arrive by midnight of the closing date, July 30, 2015. The winners will be notified via email by August 6, 2015. The winner must claim their prize within 7 days of the promoter sending notification. If the prize is unclaimed after this time, HEXUS reserves the right to offer the unclaimed prize to a substitute winner selected in accordance with these rules. The first prize is a Fujitsu ScanSnap iX500 scanner. The second prize is a Fujitsu ScanSnap iX100 scanner. The third prize is £150 worth of Amazon vouchers. Entered for a chance at the third place. Are people really buying separate scanners these days? Every printer I bought for like 10 years now has been able to scan. On second read, I guess “Amazon vouchers” means “discounts on scanners that I have no use for”. Any way to un-enter? Nice prize, many thanks Hexus. …Are people really buying separate scanners these days? Every printer I bought for like 10 years now has been able to scan. I carry a flatbed scanner with my laptop (perhaps the only advantage of a wheelchair is that the weight doesn't bother me). I tend to use it mostly for scanning from books though, which looks like a problem with both of these. 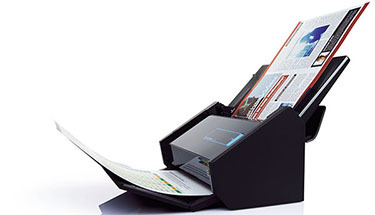 Must admit I am curious how a scanner 27.5cm wide scans A3 though?